We are in a time of accelerating disruptive change. 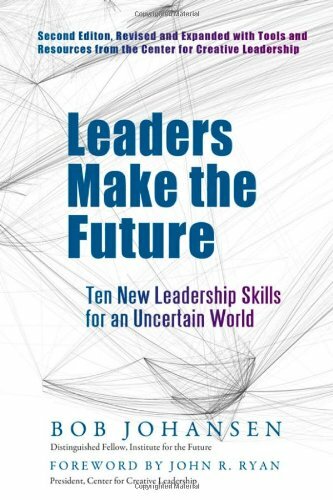 In a VUCA world—one characterized by volatility, uncertainty, complexity, and ambiguity—traditional leadership skills won’t be enough, noted futurist Bob Johansen argues. 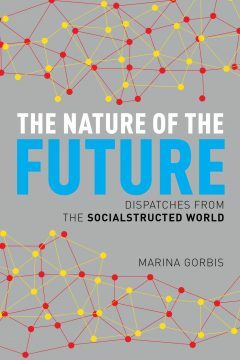 Drawing on the latest forecasts from the Institute for the Future—the first futures think tank ever to outlive its forecasts—this powerful book explores the external forces that are shaking the foundations of leadership and unveils ten critical new leadership skills. How adroit are you at dilemma flipping—turning problems that can’t be solved into opportunities? Can you develop bio-empathy—the ability to learn from and apply the principles of nature in your leadership? Are you able to practice immersive learning—dive into very different-from-you physical and online worlds and learn from them? Johansen provides role models, tools, and advice to help you develop these and seven other future leadership skills. In addition, Johansen deals with two new forces that are shaping the future. The first is the “digital natives”—people fifteen years and younger who have grown up in a digital world. The second is cloud-based supercomputing, which will enable extraordinarily rich new forms of connection, collaboration, and commerce. 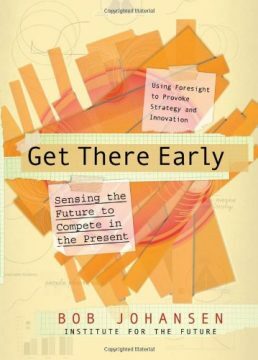 In this thoroughly updated and expanded second edition, Johansen is joined by the prestigious Center for Creative Leadership. CCL’s contributions help readers understand the new leadership skills by linking them to existing skills, and they provide analytics and exercises so readers can more fully develop these new skills.